Today I have been studying Edmund Mcmillen's use of character design. So here is on of the sections for the essay. 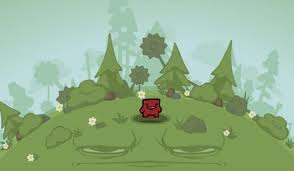 I love how edmund mcmillen can easily use a simple concept and join two pieces together to come up with an unusual but very interesting character. His character designs are very inspiring to me as they are very simple shapes which makes me feel comfortable in a way in which i do not need to over complicate drawings or character designs to get a message across about the story of the character. 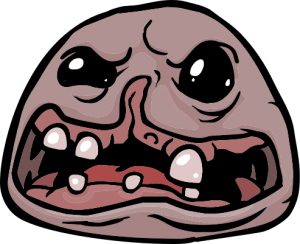 Edmunds Whole Character designs for the Game "Gish"
"Monstro" A Boss Character from Edmunds "The Binding of Isaac"
once you have seen the eyes they draw you in and then bring you out to explore more of the character for example the mouth. depending on the character design and their emotion edmund can create very interesting mouth shapes with use of the teeth, the size of the mouth and the shape of the mouth. The mouth is drawn up using shapes as simple as a semi circle which again makes me feel more comfortable with not needing to over complicate shapes and sizes. 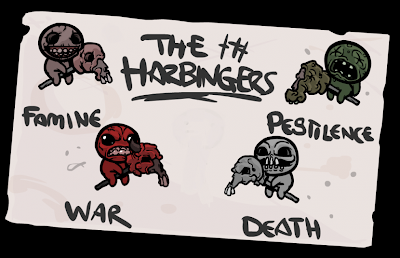 "The 4 Harbingers" Mini Boss Characters from Edmunds "The Binding of Isaac"
Edmund's attention to detail of his character designs really does pop out to me once you've gathered the whole shape and emotion of the character. 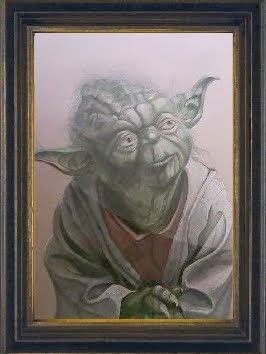 for example on some of his simple characters its as much as one line under the chin or just a hair. when you get to more of his complicated designs its nothing more that simple lines to show all sorts of things like skin folds, bumps, scratches, cracks, wrinkles, to clothing for folds and creases. "Fistula" A Boss Character from Edmunds "The Binding of Isaac"
The next thing is his attention to the construction of the little things on the character from different sizes of teeth, muscle mass, limb sizes and wether the character is made of something else from slime, smoke and even their own filth edmund will use this as an advantage to create some atmosphere around them from unique smoke patterns to even smaller creatures. 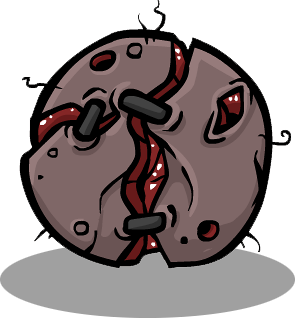 "The Duke of Flies" A Boss Character from Edmunds "The Binding of Isaac"
The personal favourite for myself is how edmund inflicts gore into his characters. 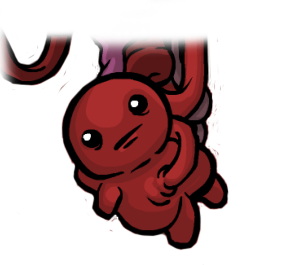 whilst playing the binding of isaac some characters have organs showing, guts hanging out, blood on their face. other characters have open wounds which have things coming out of them like maggots. 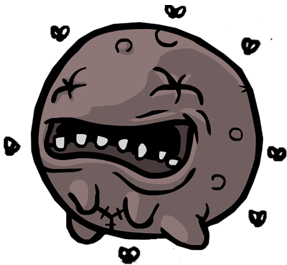 Edmund even makes organs characters so the player has to pay attention to the gore. This makes me feel total satisfaction to see that i can show gore on my characters and helps satisfy that little bit more that they feel more real and that they have something inside them. 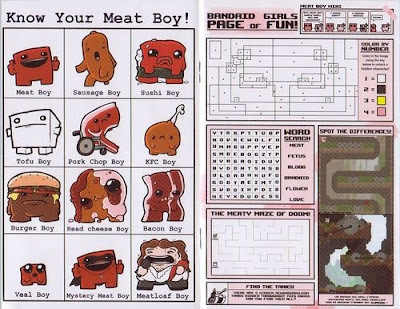 "It Lives" A Boss Character from Edmund's "The Binding Of Isaac"
Edmunds character designs are just out of this world he can take something as simple as a boy and his dinner to make super meatboy! a boy made out of meat who saves bandage girl, who is made from used bandages. A fleshy blood like dumpling with an open wound, a dead foetus baby chick who spits blood balls and his environments being characters of their own. I feel that this is a good way for myself to know that i can come up with any type of character i want as long as they have a purpose and a mechanic then they will become believable and fit into my stories. When edmund puts all of these elements together he then polishes them up with colour and tone. i love how simple things as 3 shades of light, medium and dark can help make an image really come to life, I feel that this can help my style push itself when creating character designs that need to be pushed just that little bit more. 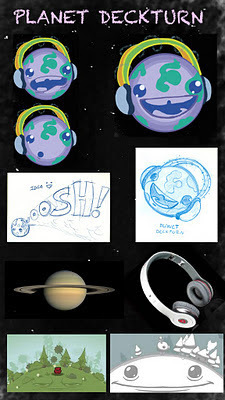 So as you can see i have been heavily influenced by Edmund Mcmillen for pure character design. 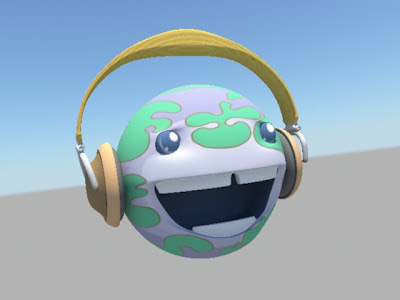 I have designed a character of a planet which has been made in 3D. 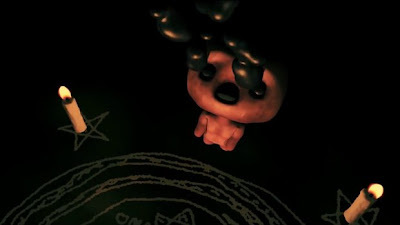 Edmund displayed on his blog a short clip of his game "The Binding of Isaac" and i feel that they 3D character model is not reflecting upon edmunds style to its full potential. Image taken from "The Binding of Isaac Halloween Trailer"
I have decided to try and design my character reflecting from edmunds style and try to make it in 3D. I feel that i have made a very good job of the model, texturing and design of the whole character himself. Several companies will be involved in the project including Turner Construction Company, Tammy Edmonds Design, KPFF Consulting Engineers, Kleinfelder, NV5 Nolte Associates, Spurlock Poirier Landscape Architects.